When we decided to create our list of the most affordable wine clubs, we decided the clubs we choose needed to deliver quality wine. We didn't want to find the cheapest option that ships out pretty bottles of bulk wine. We followed the guidance of our popular guide to selecting the best wine clubs. We searched for great value wine clubs. To us, that means a fair price for really good wine. Each of the five affordable wine clubs below gets the mix of price and quality right. With the explosion of wine subscription boxes, you need to be careful when you are looking for great value. As a consumer, you need to decide on what is most appealing to you. Some of these wine clubs can offer discounted wines that will be very familiar to you. 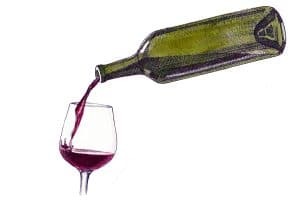 Then other wine clubs are able to provide affordable wine by looking for out of favor or little-known wine styles. Another option is for wine clubs to keep their shipping costs and overhead low. They are able to pass those savings to their wine club members. We think you will be able to find one of our affordable wine clubs that fits your needs. Please let us know if there is a great club out there that should be on our list! Want more? Here is our list of the 20 best wine clubs online. Looking to get the absolute best price on quality wine? Ready to buy in bulk? Check out this amazing wine club by the case offer. [note] This post about affordable wine clubs contains affiliate links, which means that if you click on one of the product links and decide you love what they have to offer, we will be compensated. Leave it to the experts at Wine Awesomeness to find get affordable wine options for you. The basic membership costs $49 and includes 3 wines. The shipping is complimentary. You also receive the Wine Awesomeness magazine with each of your wine club shipments. At around $16 per bottle, this is one of the most affordable wine clubs you can find on the internet. What's Nice: The wine selections are unique. You aren't receiving a lot of bulk wine with fancy labels. They ship good quality wine. They create an enjoyable theme for each shipment of wine. The Wine Awesomeness magazine tells the story of each wine along with pairing suggestions. Minor Issues: They ship some unique varietals. In order to provide you with one of the most affordable wine clubs, Wine Awesomeness finds some out of favor grapes. The wines are delicious, but you don't just receive Cabs and Chards. Plonk sits at the top of our overall Best Wine Club list because they do an excellent job picking wines. The brain trust behind each month's wine selection truly has gifted palates. The fact that they are also one of the most affordable wine clubs is amazing. We aren't sure how they find all this great affordable wine, but we certainly appreciate it! Most Affordable Wine Club Option: Select the 12 bottles shipped every 3 months. What's Nice: The wine picking is the best we've seen for a larger club. Wine Awesomeness knows their wine so you get insightful tasting notes. You receive food and wine pairing suggestions for each bottle. Minor Issues: You are getting 12 bottles at once. This may be good for some people, but can be challenging if you don't have space. Wine has a unique model for an online wine club. Winc partners with top winemakers around the world to produce unique wines that they sell under their own label. By partnering, they can keep their costs down and pass along the savings to consumers. Winc's wines are very accessible. They do offer a wide range of varietals, but you can tailor your shipment to match your tastes. We love this option for someone who is just getting into wine. Winc also makes it easy to purchase their affordable wine club as a gift. What's Nice: Winc has the cleanest online store and very good customer service. 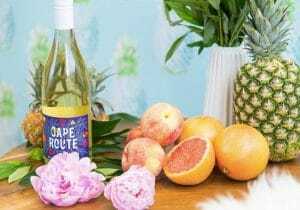 They make easy to drink wines that are perfect for the beach, barbeques and everyday drinking. They have wine club gift options. Minor Issues: If you are looking for world-class wines, Winc probably isn't the option for you. There are many ways you can create an affordable wine club. 90 Plus Cellars went the route of private labeling great wine from well know wineries. Many wineries produce more "juice" than they can reasonably bottle and sell. That creates opportunities for wine lovers who want to save. This affordable wine club cuts out the middlemen. When you skip wholesalers and retailers, you can sell great wine directly to consumers at a fraction of the price available in stores. Most Affordable Wine Club Option: Six bottle mixed wines. This is a great option if you drink about a bottle per week. For this quality, the six bottle option is a very affordable wine club. What's Nice: These are wines and varietals you know. 90+ Cellars makes solid, drinkable wines that make sense on your dinner table, at a gathering or on the porch after a long day. Minor Issues: There are no frills here. You receive a box with wine in it. Don't expect tasting notes, recipe cards or glamour shots of the wineries. The perfect pairing of wine and technology. Bright Cellars uses a proprietary algorithm to offer one of the most affordable wine clubs out there. This wine club was started by two MIT grads with a passion for wine and technology. They think their wine quiz can determine exactly what you will enjoy drinking. They are so confident they promise to send you a free bottle of wine if you don't enjoy what they shipped you. What's Nice: They work hard at matching you up with the wines you will love. Bright Cellars integrates your feedback into their model to produce the right wines for your shipment. Minor Issues: It's not how deep a selection of wines they have to offer. If you say no to several selections, they stop serving up alternatives. There is a unique angle that makes this an incredibly affordable wine club at the start. The introductory package for the Macy's Wine Cellar is simply the best on the web. You receive a selection of 15 wines for less than $6 a bottle. And the wine they send is good. This is not the bulk wines you find dirt cheap at Trader Joe's. This is actual wine from quality wineries around the world. Quality wine from an affordable wine club! We will take it. What's Nice: You get one of the most affordable wine clubs on the planet. Minor Issues: This is only a one time deal. This is for new orders only and the prices go up on your second shipment. You do have the option to cancel at any time, so make your decision after getting a great deal! Affordable wine clubs need to find a way to deliver you great wine while staying in business. That's the reality of it. There are a few different ways they can do this. We find that the best affordable wine clubs do it by cutting out as many middlemen as possible. Clubs like Winc and 90 + Cellars build creative businesses that remove the markups associated with wholesalers and retailers. As a result, you get great wines at reasonable prices. The other way to create an affordable wine club is to search for niche producers, regions and less well-known varietals. That's how clubs like Plonk and Wine Awesomeness can compete for your attention. The final method is to buy at scale. That's what the WSJ Wine Club does. They are part of a large wine buying group that can negotiate rock-bottom prices with wine producers in order to move large quantities of wine. We hope you enjoy our guide to affordable wine clubs. Interested in whiskey? Check out our guide to the best whiskey of the month clubs.